For many years, the Chicago Botanic Garden has made a concerted effort to use new and interesting plants to create innovative “wow” displays. Since coming to the Garden seven months ago, I have been continually impressed with this program and the institutional drive to make plants the priority to draw visitors to the Garden. The basic idea behind the “wow” program is to excite our visitors with provocative plantings (or a single fantastic plant). No plant or plants better exemplifies this program than our titan arums Spike and Alice, which created unprecedented “plantmania” at the Garden. Kris Jarantoski, executive vice president and director of the Garden, had speculated that someday the tiny bulbs we received 12 years ago might create a botanical spectacle unequaled in the greater Chicago area, and, well, he was right! 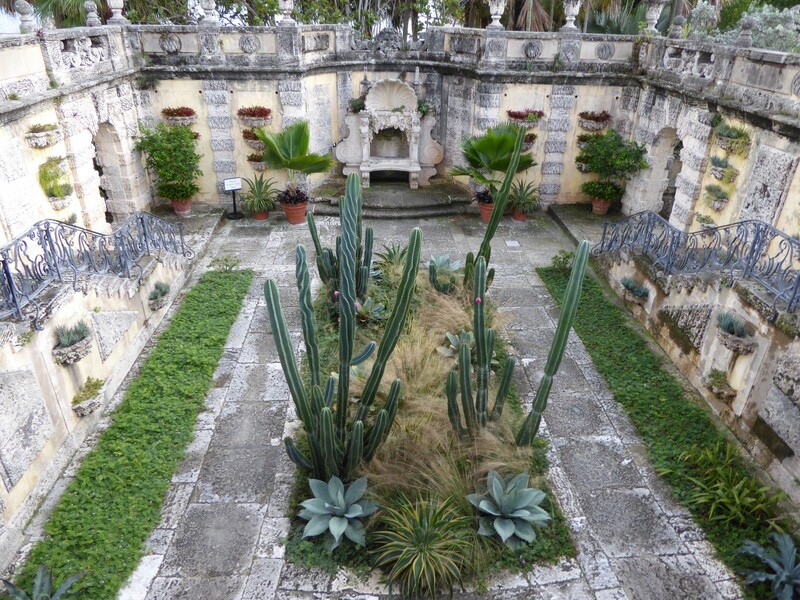 With the help of Ian Simpkins, director of horticulture at Vizcaya Museum and Gardens in Miami, we put together an ambitious itinerary to explore many of the specialty wholesale nurseries in the Homestead, Florida, area (this area is reported to have more than 2,000 nurseries), but also to see plants displayed in botanical gardens. We started our work on the last day of November. Thanks to Ian, we had a well-vetted list and were able to hit the ground running. During these (mostly) rain-free days, we visited 16 nurseries, and also spent quality time at the Montgomery Botanical Center, Fruit and Spice Park, Fairchild Tropical Botanic Garden, and Vizcaya Museum and Gardens. Botanics Wholesale was our first nursery tour stop. Here we saw incredible specimens of palms and cycads including the shaggy-stemmed old man palm, Coccothrinax crinita. Nearby at Redland Nursery, we received a tour and saw an array of very unusual palms such as the bottle palm, Hyophorbe lagenicaulis, and Hyophorbe verschaffeltii, spindle palm. Bullis offers a broad selection of cultivars of many genera including Aechmea, Androlepis, Billbergia, Guzmania, Neoregelia, Orthophytum, Portea, Puya, and Tillandsia. I love the bold, statuesque aechmeas, with their orange-yellow, strap-like foliage. 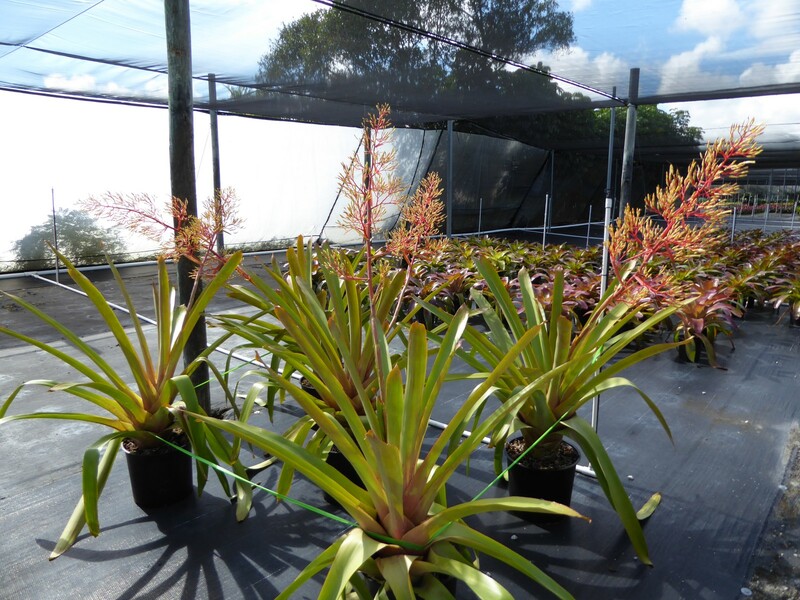 Bullis Bromeliads was part of our nursery tour. Our next stop was Signature Trees and Palms, and their fantastic collection of extraordinary tropical trees and very large stature palms. 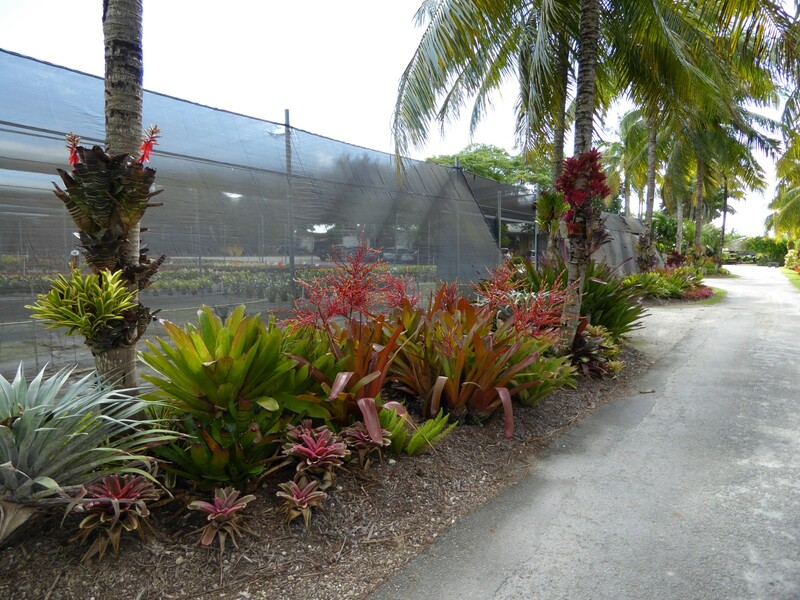 This is the nursery to go to if you need a 50-foot-tall specimen palm for your property! We found their beautiful red-leaf introduction of Heliconia spectabilis a possibility for our list. 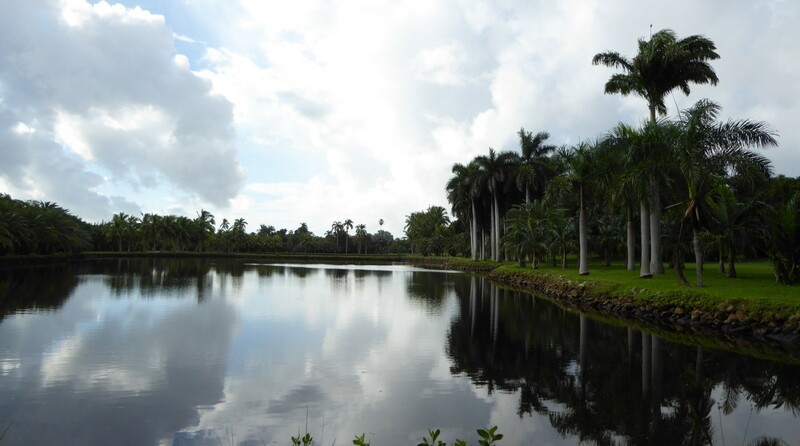 The following day we focused on visiting the botanical gardens in the Miami area. In the morning we were met by Patrick Griffith, director of the Montgomery Botanical Center, which focuses on the conservation of threatened species of palms and cycads from around the world. 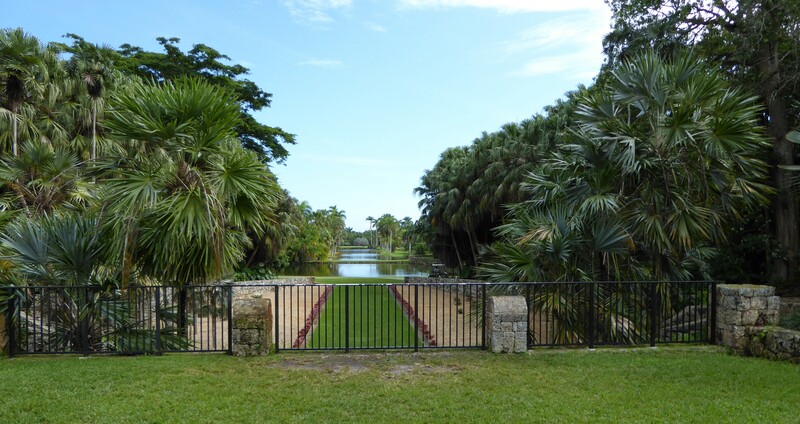 Adjacent to Montgomery is the Fairchild Tropical Botanic Garden. 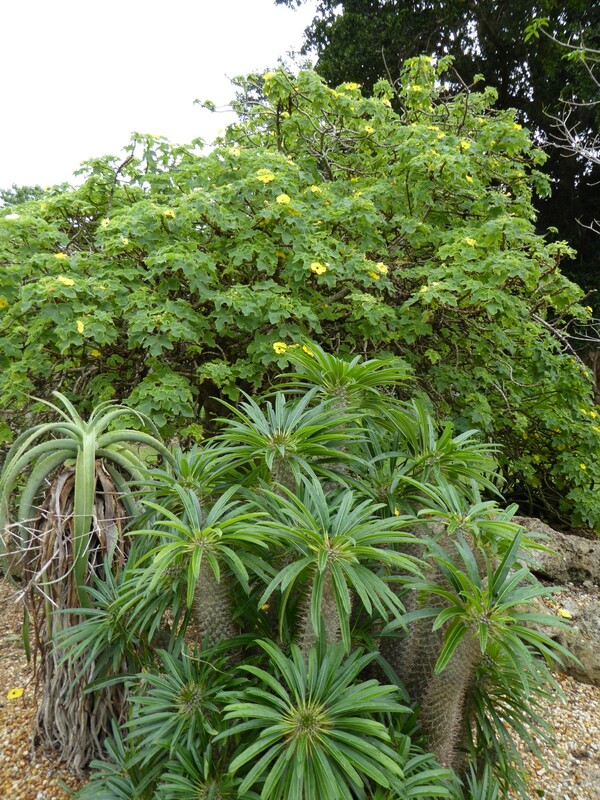 Founded in 1938, its mission is to conserve the world’s diversity of tropical plants. Today, the mature plantings are diverse and are beautifully displayed around a series of lakes. In the afternoon, we met Ian Simpkins—who had helped us organize our tour—at Vizcaya Museum and Gardens. This was the winter estate of James Deering, whose family founded Deering Harvester Company (which later became International Harvester Company). The house was built between 1914 and 1922, and is surrounded by elaborate subtropical gardens filled with amazing plantings of cacti, palms, and grasses. Our research expedition finished with a few more exploratory visits to nurseries, including a trip highlight to the diverse and interesting Boynton Botanicals in Boynton Beach, Florida, and its extensive wholesale nursery of palms, elephant ears, begonias, succulents, and other tropical plants. 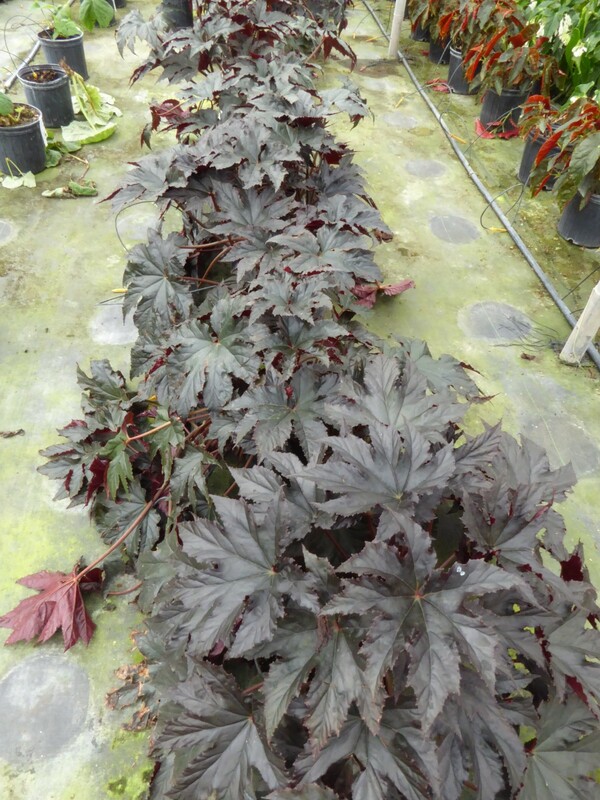 On the last day we traveled to Loxahatchee to visit Excelsa Gardens nursery, and while it was not planned, we literally “saved the best for last.” In addition to having an incredible variety of plants, the nursery offers many fantastic sizes of wonderful specimen-sized plants. 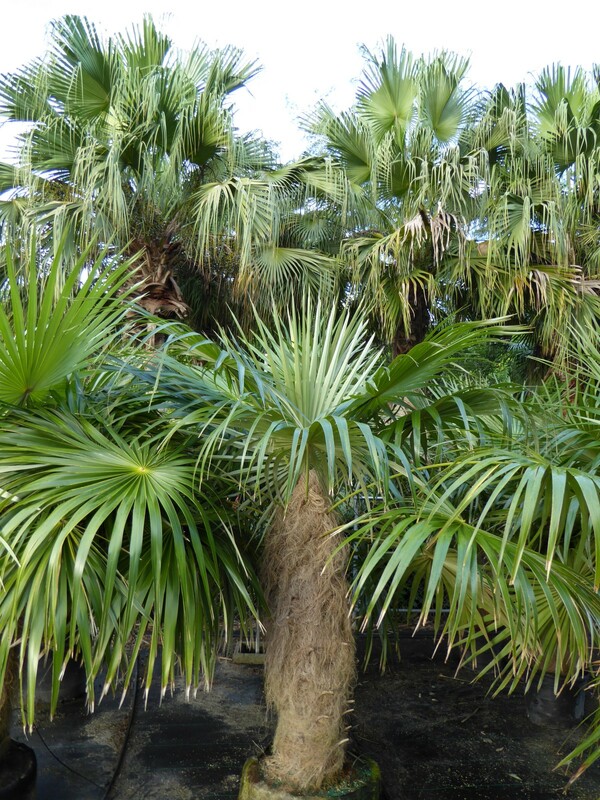 In fact, we will reveal that we purchased two specimens of the white elephant palm, Kerriodoxa elegans—noted for its large, fan-shaped leaves with white undersides and black petioles—to display in the Heritage Garden in 2016. We returned to Chicago with lists of hundreds of future plant prospects, as well as a multitude of design ideas that could be future “wows” for years to come! I have some real issues with this focus. Yes, tropical plants can be “wow” -inducing, but we’d be much better off paying more attention to our natives, their values and yes, their “Wow” factors. Thanks for your comment. At the Chicago Botanic Garden, we pride ourselves in showcasing many types of plants from around the world, including plants native to Cook County, the Chicagoland area and Illinois. Our Native Plant Garden features native Illinois plants for the home landscape. In our natural areas including, Dixon Prairie, Skokie River, McDonald Woods and our many miles of shorelines visitors can see many ecosystems that display hundreds of native plants. Also, over the last 30 years our Plant Evaluation Program has extensively evaluated dozens of native genera including Baptisia, Vernonia, Amsonia, etc. And, our plant breeder, Jim Ault, has built his entire plant breeding program around native plants, such as, Baptisia, Echinacea and Phlox. Who is Andrew Bunting? What does he do? I agree, let’s focus more on native plants including native orchids. You have none. Garfield Conservatory has palms. Do we need to duplicate? Thank you for your comment. I am the Assistant Director of the Garden and the Director of Plant Collections. The Garfield Park Conservatory has a wonderful collection of palms and other tropical plants. The emphasis of our conservatory plantings is winter flowering plants. When we use unusual palms and other tropicals in the garden it is often to augment our summer displays. With regards to your native orchid question, we are currently working with NAOCC, North American Orchid Conservation Center to explore using native orchids in some of our gardens areas. 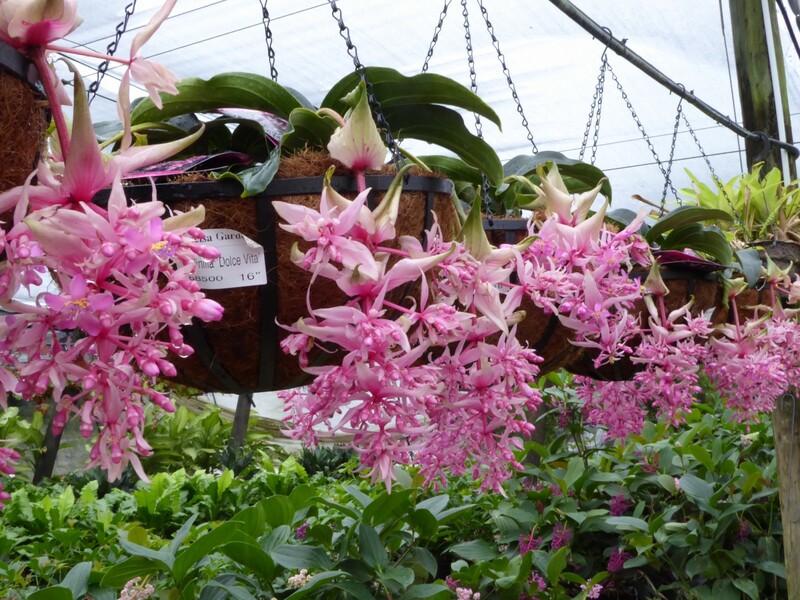 Institutionally, we are committed to the preservation and conservation of all North American native orchids. Next time you should visit Naples Botanical Garden! I will be visiting the Naples Botanical Garden for the first time at the end of January. I am VERY much looking forward to my visit. This article was a wonderful mini armchair gardening escape. The pictures and descriptions were wonderful and I will be adding some of these places to my growing list of things I want to see. I thought botanical gardens were a means by which to enrich and educate the public. While it is always nice to see natives, they are natives and they are all around. I’m grateful for the ‘spice’ of other non native plants and look forward to seeing these in future displays. Thanks for your comments. At the Botanic Garden our underlying goal is to display the depth and breadth of the botanical world. I have been a leading native plant advocate and landscape architect for almost forty years now – lecturing, writing, organizing conferences and symposiums. Our ecosystems are changing, climate is changing, and these days a love of native plants is just not enough to keep us living in healthy, vibrant, physically and spiritually renewing surroundings. Not only is it possible for us to include non-natives as well as natives in sustainable gardens and landscapes, it actually is necessary. Native plants can no longer do the job alone. Andrew, thanks for your role in developing and advocating this important new approach, creating ecologically resilient new landscapes that will carry us into an environmentally sound future. Thanks for your reply. Diversity of our plantings at the Chicago Botanic Garden has always been a goal of our collections curation. Your article was most interesting. Next Next post: The Fruits of our Labor—Alice is Fruiting!